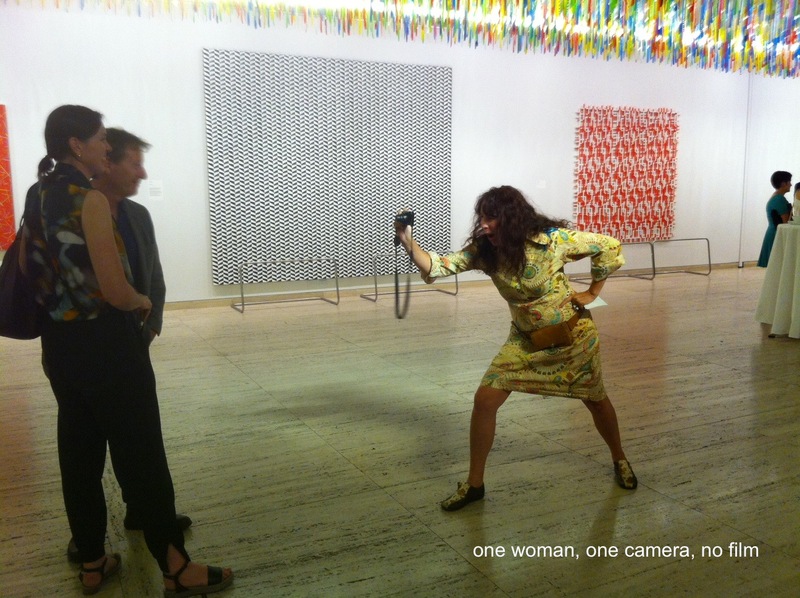 Home » Australian Art » Plagiarism: What is it and How do you do it? Plagiarism: What is it and How do you do it? 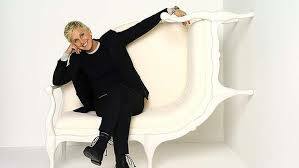 Design is So Big Right Now that the world’s favourite power lesbian, Ellen DeGeneres, recently launched her own 6-part American furniture design reality TV competition for cable – “Ellen’s Design Challenge”. The Grand Finale saw finalists Tim and Katie design one last piece of furniture, the winning designer taking home prize money of one hundred large. It didn’t turn out how the producers had anticipated. 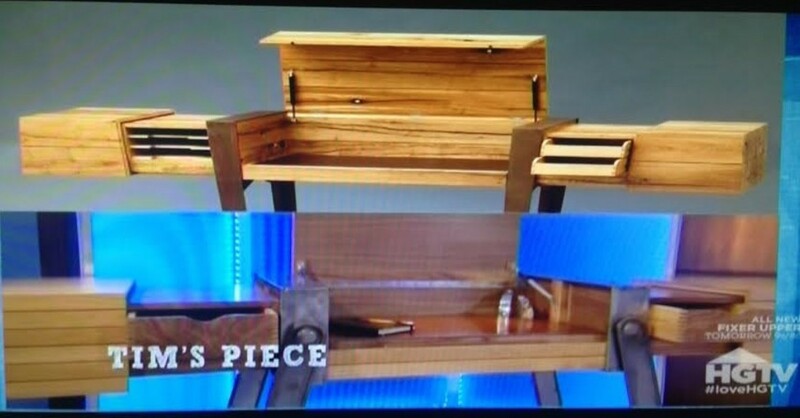 It’s not a stretch to say Ellen’s Design Challenge turned Bad. The expert judges judged Tim’s very weird looking sideboard desk thing the winner, until (drum roll please) it transpired that Tim had plagiarized the design from some European designer. Tim got disqualified, and Katie won. You go Girl! “It’s the most talked about moment in furniture design show history. Tim was disqualified after winning my show. Thursday he tells me his side,” she wrote. 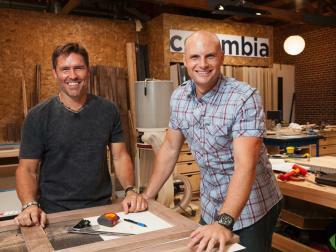 “Ellen’s Design Challenge” had reluctantly waded into the murky world of intellectual property. That can of worms is keeping more than a few University Conferences scratching their heads. A few artists like Hany, get the career. Most don’t. Their ideas might be very, very, very similar. Even to the untrained eye. 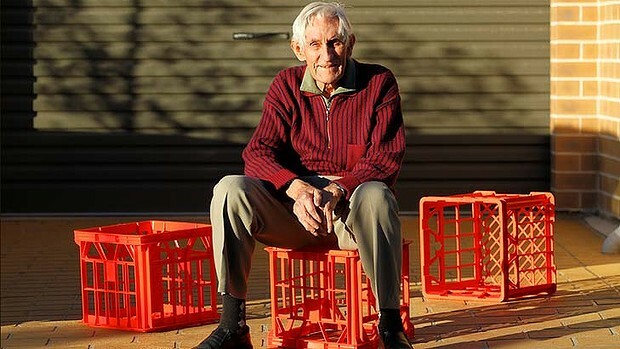 If Jarrad had applied to upscale the upscale of his milk crate sculpture Court, would he, within a field of 700 applicants, been successful in his bid to win a $2.5 million public art commission in Sydney? No siree he would not have. I would bet 2.5 million bucks on it. Why? Now, for me, this is where this fracas becomes real noteworthy. It’s within that grey zone called an Artists Reputation. Artists do not build their reputations alone. They rely on industry professionals like curatorial advisors. Jarrad Kennedy is an exciting artist, unrepresented by a high profile commercial gallery. Why? God only knows. He has maintained a career for the past decade without the institutional support enjoyed by many artists. Why? God only knows. Does this make him a less significant artist than a more successful arts practitioner? God only knows, but in my book it doesn’t. I remember all the works of Jarrad’s I’ve ever seen. Especially the replica hand-luggage airport security system, he produced for his VCA Grad show. Great art that was. Jarrad was surprised to get shortlisted for the 2005 McClelland Sculpture Prize. He was “too familiar with getting turned down”. Art Prizes are such a lottery. Once in, you always think you’re going to win, someone’s got to; it might as well be you. Failing that, someone might fall in love with your work enough to buy it. Or not. If nothing apart from a write up in the paper happens, after the year long exhibition, you’ve got to deal with storage. Jarrad’s Court was “moved to Kinglake where it was destroyed by the Black Saturday fires in 2009”. Symbolic really, all that hard work up in flames. Everyone needs to respect how hard it is to be an artist. It’s poor form for a successful artist to publically belittle the artistic efforts of a fellow artist. Especially one who has demonstrated very similar idea’s to their own. Calling Jarrad’s Court ‘little more than a plywood cubby house’ (whilst naming his own, very similar, larger, much more expensive Pavilion a cathedral) was intended, I’m sure, as a put down. As someone who worked as a public relations attendant at the Queensland Pavilion at World Expo 88, I say give me a cubby house any day. The extreme charm offensive façade favored by most successful artists slipped into plain old offensive here. The backfire exposed creative insecurity and uncertainty about originality and about who gets cake and who gets crumbs. Cubby houses are always fun. They speak to childhood and innocence. When life is simpler and not all competitive and everyone’s not so hell bent on being the local council’s latest next big thing.